Rarely do I need an excuse to try a restaurant, but there are times when a recommendation carries a little more weight. One of those times came when I had popped into Sid Mashburn to have a sports coat altered. While I was looking through tweed fabric samples, the man behind the name, Sid Mashburn stopped to say hello. Since we both hail from the Jackson area, there seems to be a certain rapport between the two of us and as with most conversations, the subject eventually turned to food. I was more than happy to let Sid know about the current state of Jackson restaurants, and Sid let me know about a few restaurants I had to try. One was a country buffet named The Garden Patch in Forest, MS and the other was Chateau de Saigon on Buford Highway. The next day, Jennifer was able to break away from work long enough to get lunch and I convinced her that we needed to try Sid’s recommendation. A short drive from Brookhaven later, we pulled into a small strip mall and entered into the world of Chateau de Saigon. 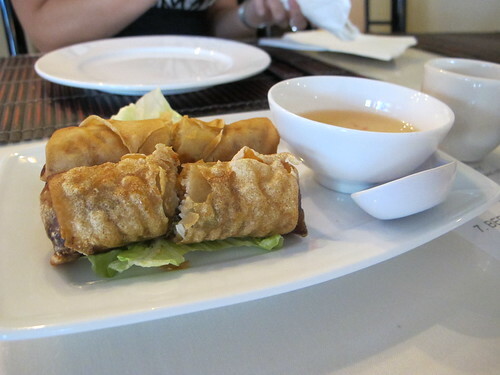 Even though Chateau de Saigon has an imposingly large menu, we went straight for the old favorites. It may be a hackneyed approach but I’ve generally found that a Vietnamese restaurant that does the basics well has a menu worth exploring more. Of course, that means that the first dish to arrive was the classic cha gio. Though these rolls may appear a little on the rustic side, the thick, crunchy wrapper concealed the usual suspects in the filling. Pork, carrots, vermicelli noodles, a little bit of shiitake mushroom all added up to a great roll. The healthy crunch of the wrapper was a particularly nice balance to the pork filling and the sweetness of the nuoc cham. 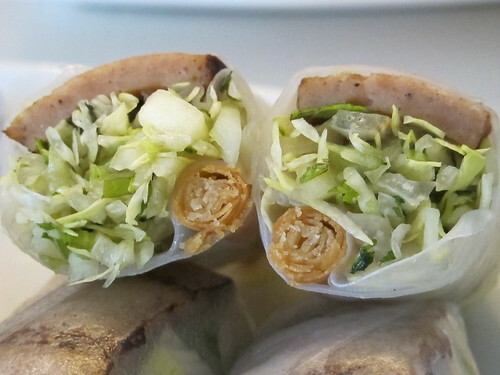 Labeled as a house specialty, the nem nuong nha trang cuon or “Nha Trang” grilled pork rolls feature grilled pork, crispy roll, lettuce, mint, carrot & cucumber all wrapped in a rice paper roll. With the first bite, it quickly became evident why this is a house special. The juiciness of well roasted pork, the punch of mint, and the extra crunch of the crispy roll made for an excellent appetizer that was made better by a liberal dip in the side of peanut sauce. 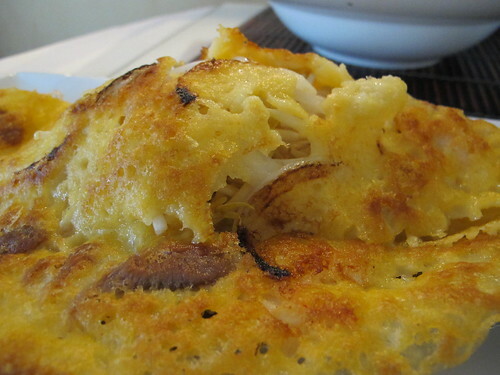 Between the two of use, Banh Xeo has become a fast favorite so it was no small surprise when this Vietnamese crepe landed at our table. Lightly browned and, as always, messy to eat, this was a well rounded crepe. While the bean sprouts outnumbered the shrimp and pork, there were a large number of onion slices. Onion or no, the crepe was a sterling addition to the table. Before I had a chance to really tear into the Banh Xeo, my order of pho dac biet arrived. 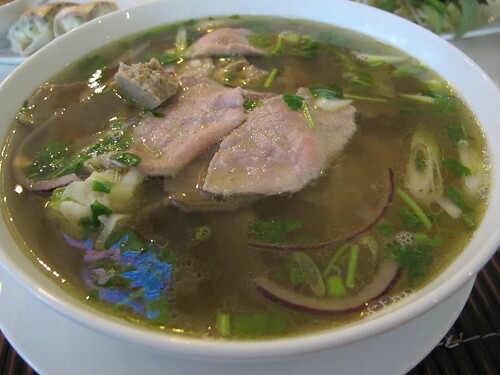 This example of pho dac biet included rare steak, well done brisket, flank, and tripe. Prior to adding any rooster or fish sauce, I was a little unimpressed with the flavor of this broth. Clean and thin, there was a subtle beef & anise flavor along with a little onion to boot. As for the beef, both the steak and brisket had a hand sliced appearance with the brisket being the thicker of the two. Rounding out the rest of the pho were a few errant slices of red onion and a clump of poorly shredded tripe. 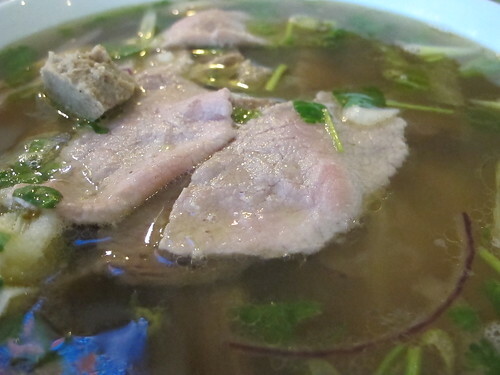 I enjoy tripe in my pho as much as anyone but when it’s one mass, it’s a little hard to eat. 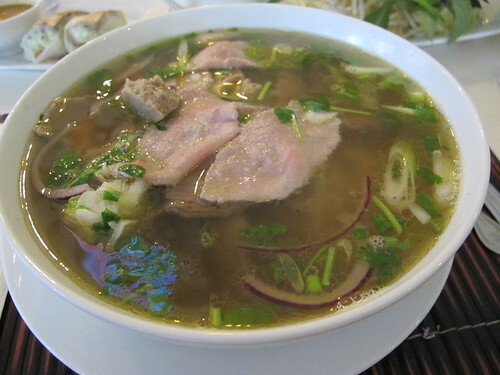 Overall, this was a pretty fair bowl of pho, not bad but it was no Pho Dai Loi #2. 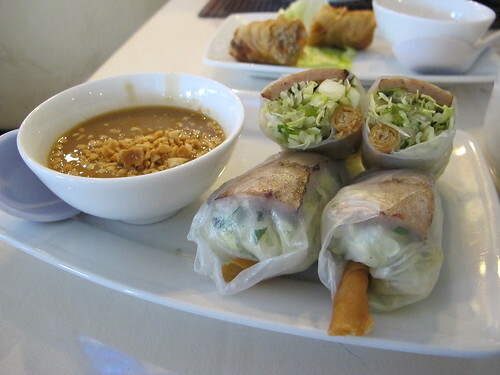 While the pho at Chateau de Saigon may not have been overwhelming, the quality of the other dishes was above par especially the “Nha Trang” grilled pork rolls. Based on that, I’m curious to see what else the “house specialties” have to offer, but if there’s one reason I’ll be returning to Chateau de Saigon it’s the lure of Vietnamese Hot Pot. I’m a sucker for any sort of hot pot and it’s not often that I see the Vietnamese version offered, so come wintertime I’ll be back at Chateau de Saigon to explore their menu a little further. 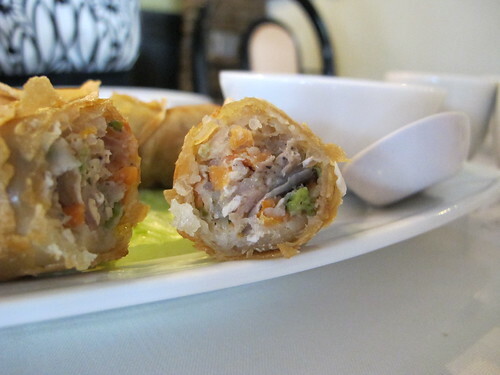 real cha gio are made with rice paper not like egg rolls; you had egg rolls. "real" cha gio aren't that good...I had them when i was in Vietnam last year and they sop up oil and don't stay crispy. I don't mind the different skin as it makes the rolls crispy and lighter. FYI real "egg roll" skins are much thicker and have a rough textured surface. I wouldn't knock these until you've tried them. This place has been awesome every time I have been there. From Canh Chua to grilled meat wraps, I always come out both impressed and happy I decided to dine at Chateau de Saigon! Second that! "Real" cha gio are not that great. I had them in Saigon, Hanoi, as well as hawlong bay and they just can't compare to the ones here! I personally love this place. 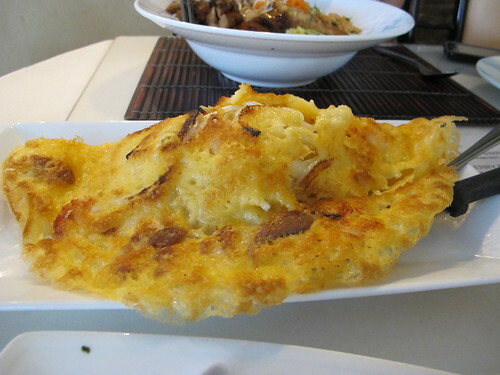 The Bo luc lac is the best in the city as well as the crispy egg noodles with seafood.